Welcome to Women’s History Month 2015, which has the theme “Weaving the stories of women’s lives”, which fits perfectly with our Cranky Ladies of History anthology project! After 18 months of work, including our successful crowd-funding campaign in March last year, we are proudly releasing the anthology on March 8. To celebrate, our wonderful authors have supplied blog posts related to their Cranky Lady, and we are delighted to share them here during the month of March. To get your own copy of Cranky Ladies of History, you can buy from our website, order your favourite real world bookshop, or purchase at all the major online booksellers (in print and ebook). She was called witch, Vampire, the Blood Countess and the Beast of Cjeste. She was accused of bathing in the blood of virgin girls. She’s been described as the worst female serial killer of all time, with her victims numbering anywhere from fifteen to three hundred to six hundred girls and women. Since the eighteenth century she’s been held up as an example of the evils of feminine vanity, a woman who painted her face with blood in order to preserve her youth. And yet, she died nearly two hundred years before the worst of these claims were ever made. POTENTIAL SPOILERS FOR “LOOK HOW COLD MY HANDS ARE” AFTER THE CUT – check out the story in Cranky Ladies of History before you read! Erzsébet Nádasdy (1560-1614), the last Countess of Báthory, was once one of the wealthiest and best educated women in Europe. She was related to Transylvanian royalty. The Palatine (i.e. Prime Minister) of Hungary was her cousin, as were many of the Protestant nobles of Hungary. In public, she was a pious, reserved woman, who dutifully followed the Catholic king, Matthias II, and took pains to look after the people of her estates. She’d been raised Calvinist and frequently attended religious service. She’d suffered fits since she was a child, and her first daughter (born out of wedlock) was spirited away before her marriage to a Hungarian war hero. Count Ferenc Nádasdy, known as the Black Knight of Hungary, was famous for his brutal treatment of the invading Islamic Ottoman Empire. But Hungary was poor. Two hundred years of fighting the Ottomans had left the people starving and the nobles suffering. The seat of Nádasdy was owed a substantial debt by the Hapsburg king, who left it to landholders to fund their own armies, hospitals, schools and roads. Erzsébet’s financial management was further hampered by her husband’s generous donations to the church to keep them from speaking out about Erzsébet’s crimes and the unusual number of deaths on her lands. Because Erzsébet was a murderer. But she rarely murdered alone. Hungarian nobles of the time thought of the people who lived on their lands as their wards, servants and—in some sad situations—their property. Nobles like Erzsébet believed themselves to be above the law. The dead girls that were buried or dumped on Báthory-Nádasdy lands were usually in Erzsébet’s employ when they died. They were starved and tortured to death by the Countess—and others. Her husband, her daughters, her fellow noble women and even her most loyal servants. But it wasn’t until Erzsébet established a ‘gynaecium’ (a school for the education of lesser noble girls) that she set herself against the rest of noble Hungary and drew the attention of a king keen to dissolve his debt to her family. Within weeks of the school’s opening, all the students were dead. Their families petitioned the king for justice, and the king was keen to oblige. At least, he was keen to see an end to Erzsébet’s embarrassing habit of turning up at court to demand repayment of the royal debt. But Erzsébet’s cousin, Palatine György Thurzó, had promised Ferenc Nádasdy on his deathbed that he would protect Erzsébet and the family. Like Erzsébet, György was more Protestant than Catholic, and like Erzsébet, he was of noble blood and possibly suspicious of the king’s motivations. He personally visited Erzsébet at her manor in mid-1610. After eating cake offered by the Countess, the Palatine and all his men were struck by a mysterious illness. They fled her manor immediately. If Erzsébet thought that was an end to the matter, she was wrong. Instead, the Palatine waited for Parliament to retire for the year. Then he made a mad dash to the Cjeste manor one snowy Christmas evening. Refusing any sustenance, he and his men searched the manor and nearby castle. They found dead and dying girls and woman, many with the marks of torture still on bodies that had been left to pile up in the castle keep. This time, the Palatine executed the rights of his office to declare sentence without trial. Ignoring Erzsébet’s insistence that she be given a right to defend her name, the Palatine banished her to life under house arrest. She was to be walled up in Cjeste Castle for the rest of her life—the very castle that had been a wedding gift from her new in-laws in 1575. He further decreed that all her personal papers be destroyed. She would not be allowed to write to any of her noble family or friends. Finally, he decreed that her name would never again be uttered in public. True to form, most documents not owned by Erzsébet’s direct descendants were destroyed. She lived for four years inside Cjeste, under guard and behind a brick wall that allowed only plates and pots to be passed. She died after complaining about the coldness in her hands, but it was several days before they knocked down the walls to find her dead, her food trays lined up untouched, and writing all over the walls. It was 1614. By then anything Erzsébet had not already willed to her two remaining daughters and son were seized by the crown. Her impressive collection of jewels, mostly plundered from the Ottomans, were stolen by the Palatine’s wife (so brazenly that nobles petitioned Parliament to stop her). There was a full investigation during Erzsébet’s internment and the report was discovered to be so damning—not just of Erzsébet but of a great many nobles—that even the king was forced to bury the Báthory issue. Matthias II went on to impress the Catholic church so much with his wealth and standing that he was made Emperor of Rome. Two hundred years later, when the first vampire craze swept Europe, Erzsébet was retrospectively labelled vampire and the stories of her bloody baths were first recorded. And the number of girls she killed? Likely reports put it at around thirty. Which is bad enough, of course. The one claim of six hundred dead came from a nine-year-old serving girl and was faithfully recorded in the report because Hungary, at the time, believed a child was incapable of lying. Erzsébet’s body was first laid to rest in the town of Cjeste. But locals objected so vociferously that the family had her moved to a secret location. Many of Erzsébet’s documents are potentially still concealed by the family, and several related documents have never been translated out of the original Hungarian. 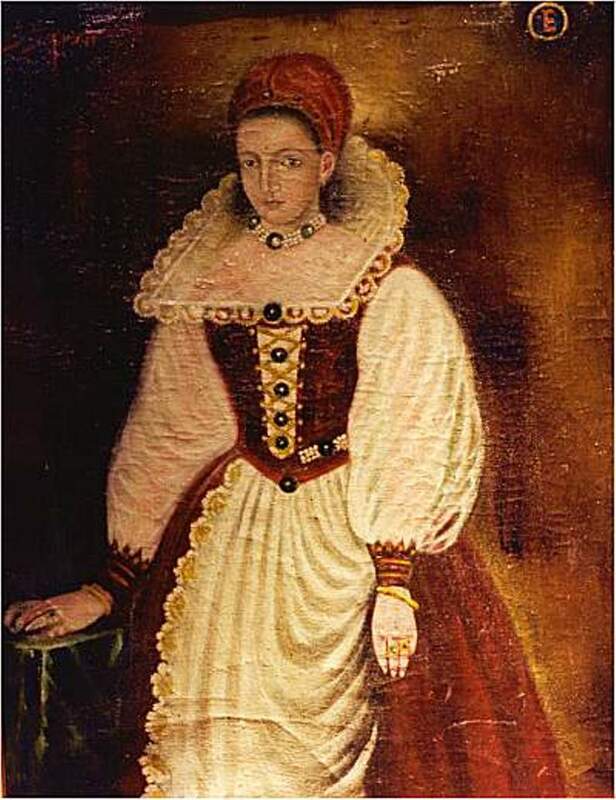 The only known portrait of Erzsébet, Countess of Báthory, was stolen from Cjeste Museum in the 1990s and has never been located. It seems history is intent on burying the real Erzsébet Nádasdy. This entry was posted in Cranky Ladies of History and tagged CLoH Blog Tour, Countess Bathory, Cranky Ladies of History, Deborah Biancotti, Women's History Month. Bookmark the permalink.